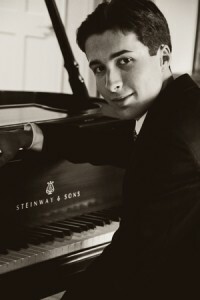 David Voss, composer, songwriter, pianist, and vocalist is currently studying music composition at Lawrence University in Appleton, Wisconsin. His string and percussion quintet “Porch Swing” was performed in Greenville, SC at the nief-norf Summer Festival and was coached by composer Christopher Adler and cellist Ashley Walters. He has been an active member of the Music Teachers Association of California’s Young Composers Guild since 2011. In addition to his composition studies with Joanne Metcalf and Asha Srinivasan at Lawrence, David has also studied composition with Anna Thorvaldsdottir, Carlo Forlivesi, Christopher Adler (University of San Diego), Brett Abigaña (New England Conservatory), Leo Wanenchak (Johns Hopkins Peabody Conservatory, The Walden School), Brooke Joyce (Luther College), Ben Taylor (Greenfarm Sonoma State University) and Marilyn Wilson (Music Teacher Association of California).